You have come to the right place. 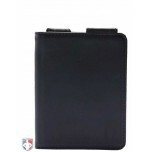 We offer the best online shopping experience for umpire and referee gear and apparel. Thanks for making us the #1 officials' sporting goods retailer worldwide. Find what you are looking for faster and easier on any device. Sort by popularity, reviews and price. Know what's in stock and ready to ship. Experience faster checkout or save items to your wishlist. Become a product expert with extensive product information, images and customer reviews (over 4,000 and counting). Make easier decisions with buyers guides, blogs and sizing information. Not one brand. Not everything under the sun. We carefully choose the best from multiple brands. This gives you the best choice in quality and value. Also look for exclusives and more USA manufactured products. You order. We ship. Orders with non-promotional shipping are sent same business day if ordered by 2:30 ET (or next day, if after). Know your expected delivery date at checkout to ensure your order arrives in time for your next game. Learn more about shipping. Enjoy the industry best no-hassle 60-Day Return Policy including free returns on select items. Receive world-class service through online self-service and prompt, friendly assistance when you need it. 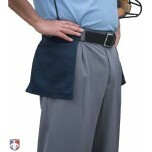 Ump-Attire.com was one of the first websites for officials' sporting goods. 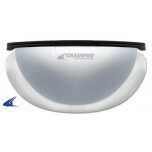 It has grown from just a few umpire-only products to over 600 products in multiple sports. It was purchased by Score 451 Sports, LLC in 2006. We have a fulfillment center in Louisville, Kentucky, USA, home of the Kentucky Derby and Louisville Slugger. Here, we stock all inventory, ship all your orders and staff a dedicated customer service team. 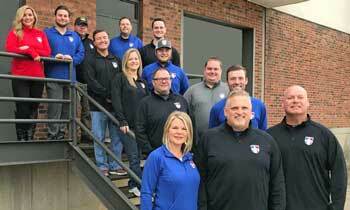 Our staff includes former and current umpires and referees. Jim Kirk, President/CEO, is a former umpire and served on the board of UMPS Care Charities, the charity of Major League Baseball umpires. Scott Kennedy, business development specialist, is a current SEC and ACC umpire, former Triple-A umpire, basketball official and now serves on the board of Umps Care Charities. Brandon Lawson, inventory manager, is a current high school umpire, basketball official and football official. Josh Mann, marketing assistant, was a college and Frontier League umpire. Ty Unthank, one of our order fullfillment specialists is a high school umpire. In addition to serving individual officials, like you, we are the exclusive uniform supplier to Minor League Baseball Umpires and the MiLB Umpire Training Academy. We believe in making a difference beyond products and profits. We donate approximately 5% of our profits to causes such as the American Cancer Society, Umps Care Charities and the Wounded Warriors Umpire Academy. The more you buy, the more we donate. Learn more. Still don't know us well enough? Signup for our newlsetter to receive special offers, news, tips and more. VIDEO OVERVIEW of ump-Attire.com from "The dish"